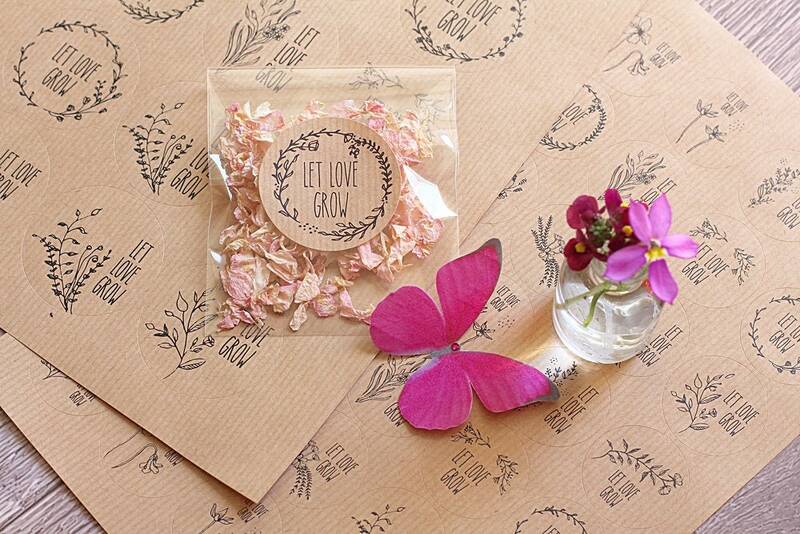 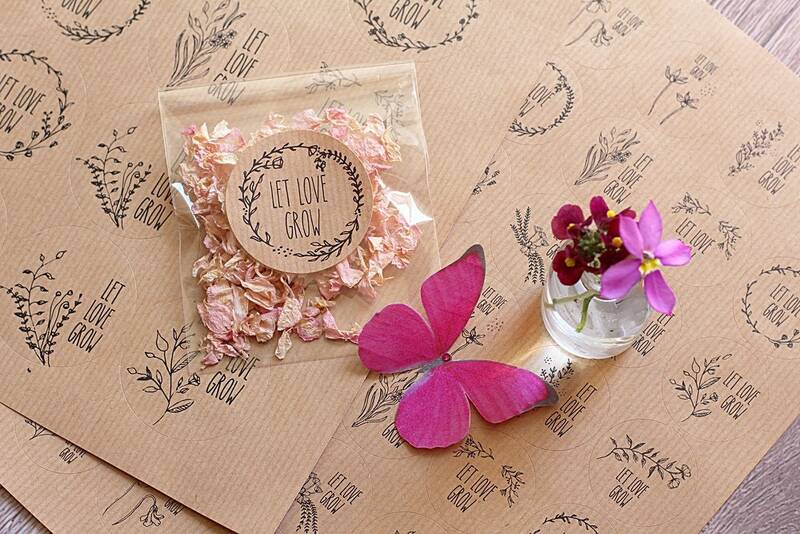 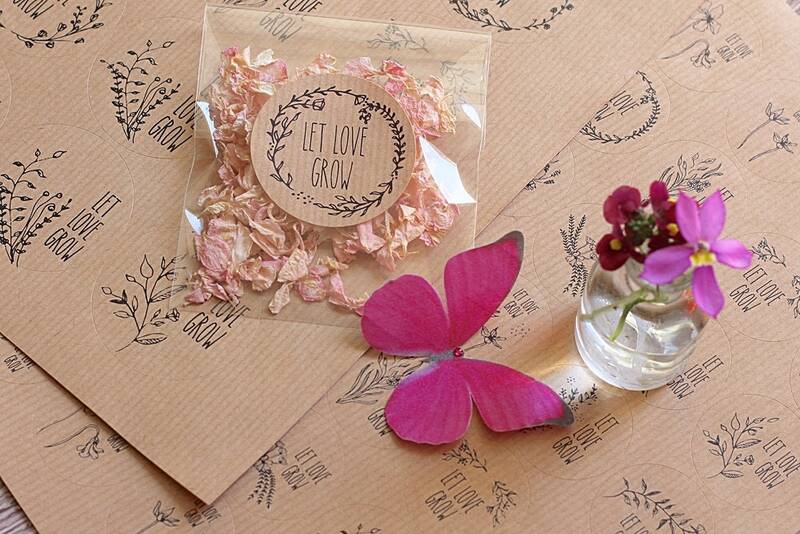 Let love grow stickers, wedding labels, favors and favours. 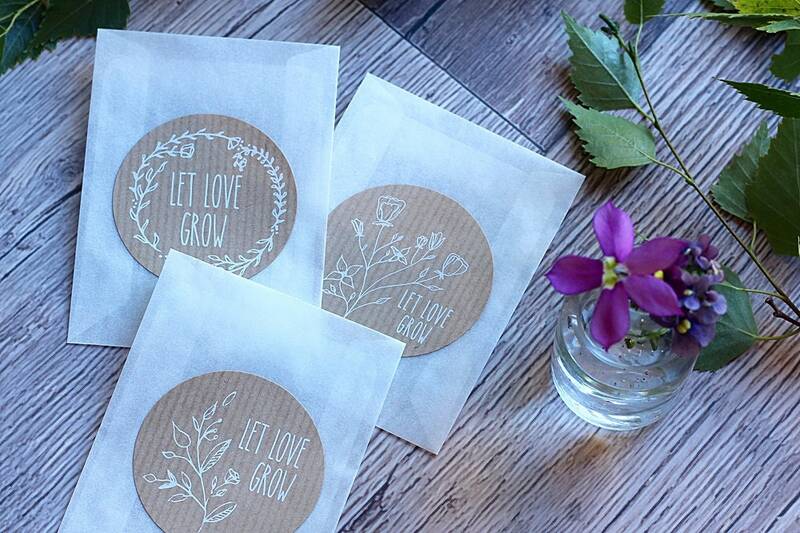 Round personalised kraft stickers. 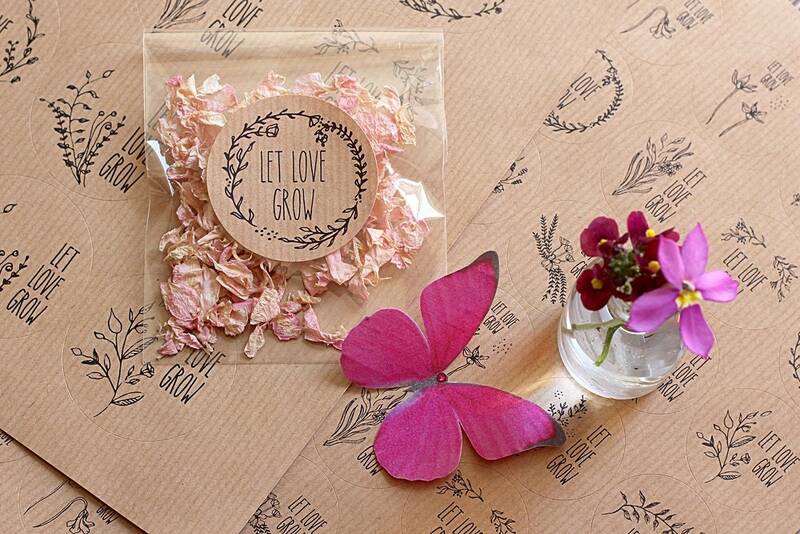 These gorgeous kraft stickers are are perfect for your wedding invitations, favours,confetti cones, bag, packets and thank you cards. 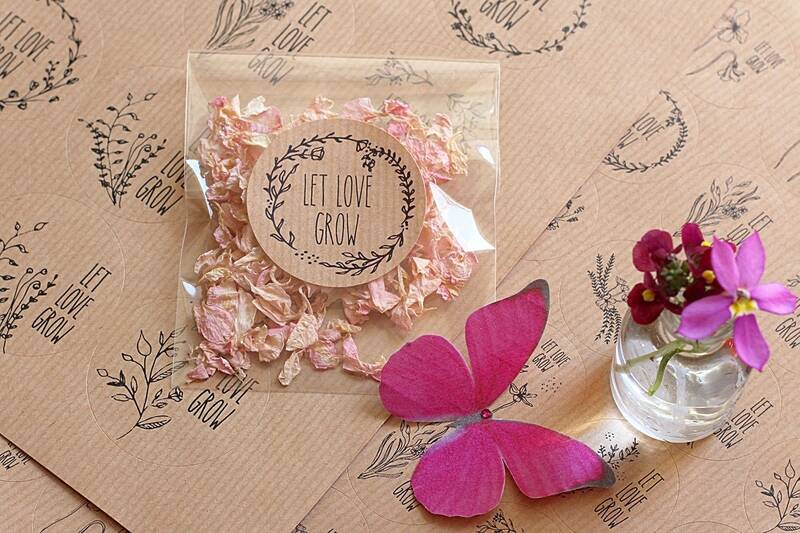 Each sticker says "Let Love Grow" but this can be changed or customised with your initials, the date of your wedding or special event or your choice of wording. 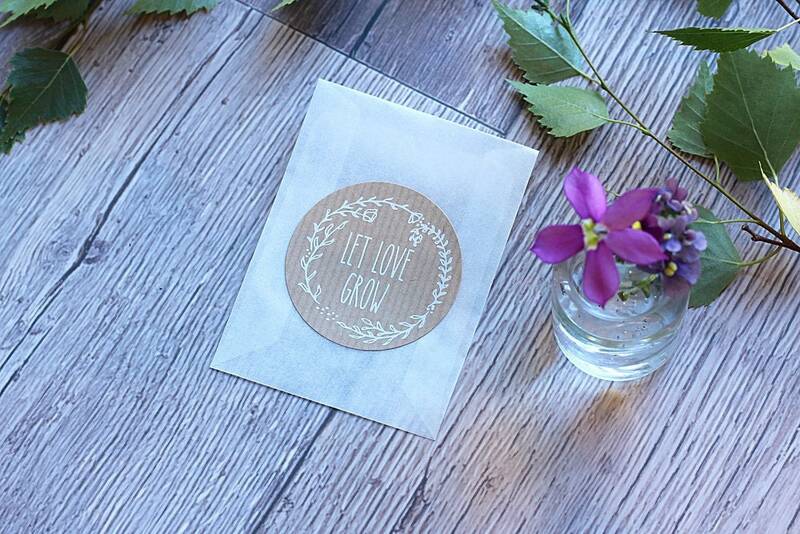 Please message me about this.